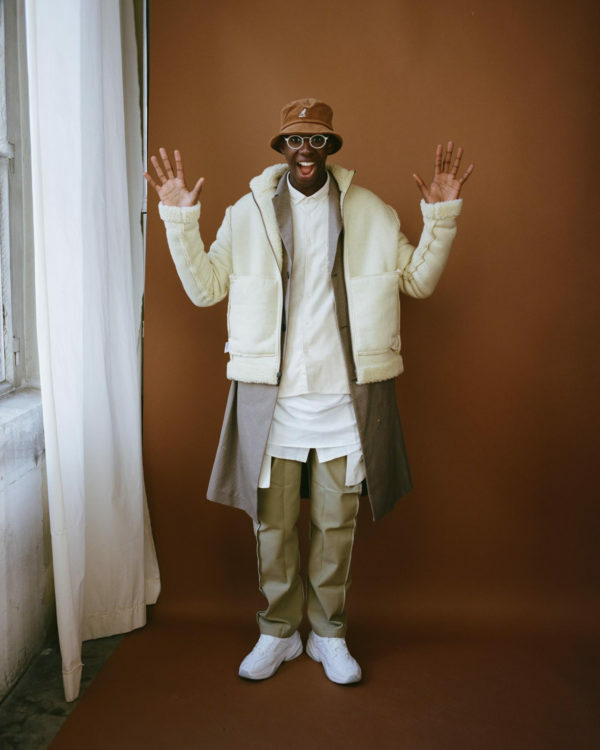 We interviewed New York-based Tia Jonsson and Paris native Jean-Jacques N’djoli, protagonists of INDIE’s showcase of the season’s key trends in standout streetwear, in collaboration with Bread&&Butter by Zalando. In recent years, the fashion circuit has become a melting pot of formerly opposing elements, leaving any sense of aesthetic separation behind. Streetwear, and further the ethics behind it, have thus emerged not so much as trends, but more as concepts aimed at uniting what was once deemed incompatible. Inspired by this, INDIE teamed up with Bread&&Butter by Zalando—a shopping destination devoted to curating the online retailer’s strongest streetwear offerings and providing first access to exclusive product drops—to present to you our very own take on the two. 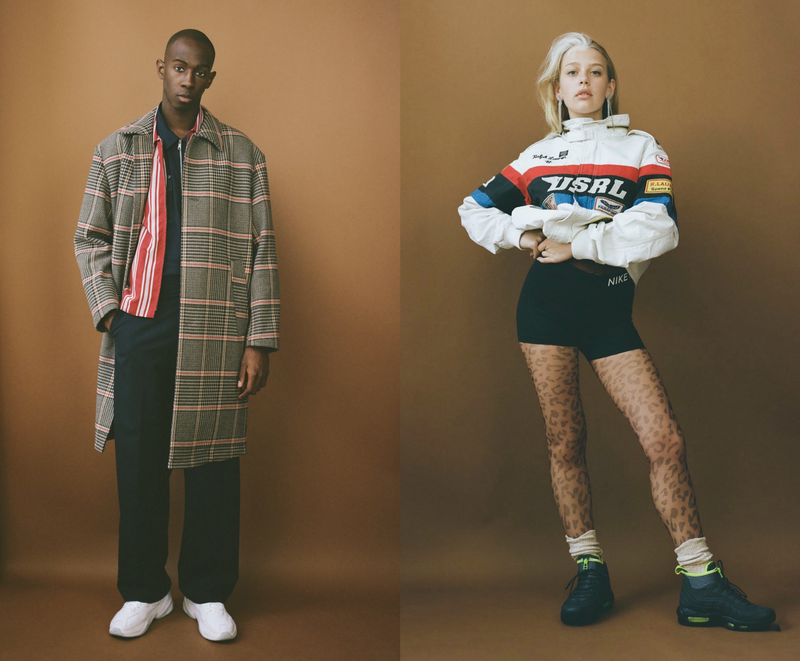 To boost our cause, we recruited Tia Jonsson and Jean-Jacques N’djoli—streetwear leaders in their own right—to not only model selected looks, but to serve one very own, self-styled head-to-toe. “It doesn’t all have to be ONE style”, Jonsson says of what she enjoys about getting dressed. She slid into the industry just about a year ago, only to have already made her mark as a muse to Virgil Abloh’s Off-White, Heron Preston and Rihanna’s SAVAGE x Fenty lingerie line. With vitiligo-kissed streaks of white hair, a rosebud pout and icy blue eyes, the 21-year-old pairs her instantly recognisable grace with a charmingly humble personality. N’djoli, on the other hand, is a 23-year-old self-made streetwear star-on-the-rise. Born and raised in the world’s fashion epicentre, the Parisian creative walks the streets of his hometown followed by looks of envy, as his mindful mix of colour-blocked nonchalance inspires supporters around the globe. As impressive as their stories may sound, the two are far from aloof, bringing nothing but sunshine-like energy, fun vibes and intriguing insight to a rainy day studio shoot in Berlin. Agreeing that fashion shouldn’t define, but rather underline who you are or want to be, the two candidly share their perspectives on how they found their way into the business, shaping an individual sense of style, and why they chose the pieces they did. First off, tell us a bit about yourselves. Tia: My name is Tia, I’m 21 and from California originally, but now I live in New York. I model and go to school. Currently, I’m taking some time off of school but plan to return next semester for International Relations. Jean: I’m Jean-Jacques D‘joli, I’m 23 years old and from Paris. I mostly do creative direction in one form or another, content creation and consulting of brands. I have many interests, many caps that I can change in regards to what is asked from me. But all in all, I’d consider myself a creator. When did you first develop an interest in fashion, where did it all begin and why? T: I started modelling a year or so ago. This was the first time I actively encountered this streetwear mentality as a thing. The first jobs I did were Off-White and Heron Preston. Both of them, you could say, are quintessentially streetwear brands in High Fashion. J: It started when brands began to approach me through what they’d seen me do through Instagram, they liked my approach. I never used the term blogger, but through that it just randomly came about that this was what people would call me and view me as. Instagram was kind of like my window through which I could let others take part in what I liked. It all developed by itself, I’d say, that’s how I got where I am today. If you have something and a platform to show it to people, something to communicate by, things will happen naturally. You both got to choose pieces to create a self-styled look – why’d you pick these specific pieces to wear for the B&&B shoot today? What drew you to them? And in general, what do you gravitate towards when shopping? T: I enjoy contrasting, mixing different styles. I don’t spend a lot of time putting outfits together. I’ll spend a lot of time choosing in a store, but once that’s done, I’ll just throw stuff together in the early mornings. It’s all stuff that I like, so it’s all stuff that go very good together—in my humble opinion [laughs]. J: I like when my things have a geometric, art-inspired look to them. I love art and I see a lot of it in the clothes. But in general I just like to have fun, I like fun clothes. As long as you have fun with it, you enjoy it and can wear whatever you want. And how do you describe your personal senses of style? Where, what and/or who do you look to for inspiration? T: I look at what I’ve been wearing throughout my whole life. Like, there are things that I wear now that I would’ve worn when I was, like, five [laughs]. Those kinds of staples are nice, they’re reliable in their comfort, you know. I live in Chinatown, a very vibrant part of town with so many different, good styles to draw from, people that have a very cool, unique but also practical style. That’s probably a big inspiration for me as well. J: It’s tough to describe in just one word. I love playing with shapes and colours and all of that. A chameleon can go everywhere and change its appearance. I’d say I’m quite the chameleon. I can go anywhere and adapt to the vibe. I feel inspired by the environment around me, by my people. I can just look at someone, even at a dog or a wall and be inspired. It could be like “Oh, I like these colours together.” Everything that I see, hear and do around me. It’s like boiling a sauce: While making the sauce you add ingredients of what you like to it, spices you feel are missing. How do you further define style for yourselves? Is it more than just wearing clothes? T: I would say—I know a lot of people say this [laughs]—my style is eclectic. Not in a way where It’s especially zany or “out there”, but I just have a lot of different pieces inspired by a lot of different things. That’s the beauty of this concept of next level streetwear to me. It doesn’t all have to be ONE style. I think at the end of it, it’s all very me. But I also feel that if my clothes are too loud, too expressive, it makes me uncomfortable. They can’t be too distracting, the emphasis should be on what I’m doing, that’s how I want to express my creativity. I feel more like myself in a more toned-down look. Fashion is a tool, but it’s more of a form of support as opposed to something that should define me and what I do. J: It’s a concept. It’s anything really. You can wear whatever you want in reference to a certain culture you live in. It’s not something you can pinpoint, it depends on the individual. It definitely has a meaning, though. People use clothes to say something, announce their presence, a purpose, to be something, someone, somewhere. Before, streetwear was more like wanting to be comfortable in your clothes, having fun. How does this concept take shape, impact you in your private and professional lives? J: For me personally, it was never meant to be a thing. But as I enjoy mixing different aesthetics. Nowadays streetwear wants to mix with high fashion and high fashion wants to mix with streetwear. It became a thing and added dimension. I wasn’t necessarily aware of it though, I just did my thing and everything else happened around me. Elements of athletic-, work-, outer- and streetwear have become increasingly popular in recent fashion history, and the lines between different aesthetics continue to blur—where have you witnessed this and how does this reflect within your very own style approach? 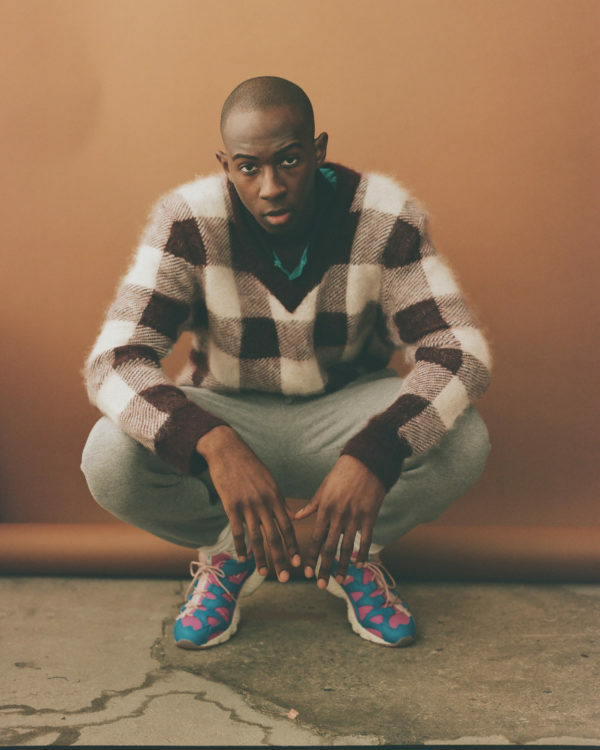 T: The concept behind streetwear, and streetstyle for that matter, is really useful in its versatility, because you can kind of make an outfit look as dressed up or dressed down, as athletic as you want it to be by adding or subtracting certain pieces. I can wear a dress on a night out and pair it with sneakers to create a whole new effect, an effect that I want. In High Fashion, a look doesn’t have to be fully fancy anymore. J: I’d actually say that I was incorporating this within my style before it became a trend. Since I was a kid, I remember looking to my dad and my brothers. My dad was always more luxuriously dressed, if you will, whereas my brothers were more casual. Growing up, I took to both of these styles to develop my own. Now we see it in all of fashion and I find it so cool, it’s something I’ve been living in for so long. To me it’s not a trend, it’s a portrayal of what I like and how I grew up in fashion.